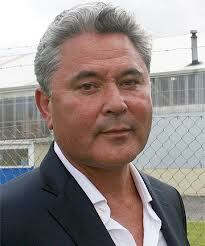 Two fundamental media training tips we give our clients have been ignored by John Tamihere in the last few days. Firstly, every media encounter should be seen as an opportunity to communicate a message. In Tamihere’s case, that would probably be his view that the country is going in the wrong direction, and he wants to be involved in changing focus as part of a Labour-led Government. When he was asked by a journalist this week if he was sexist, this was a great opportunity to get that message out. He could have answered along the lines that he’s concerned for all New Zealanders equally, male and female, and that’s why he wants to come back. But instead he gave a sarcastic answer, and later abused the reporter who asked the question. He called her a stupid little girl for asking such a stupid question. But based on his track record, he should be expecting these questions, and have techniques organised to answer them, but still get his message out. This is a skill we teach our media training clients. Not only did he miss an opportunity, but anything he said in the interview that he may have hoped got used in the subsequent story was no longer relevant. That’s because his behaviour became the story. From a media training perspective, this is something Labour may be concerned about if he does become a candidate at the next Election. They will have messages they will want him to focus on getting across to journalists. The last thing they will need in the campaign is Tamihere becoming the story and drowning out any party messages. The other important media training tip for him is to avoid personal attacks. We've already discussed how this can drown out messages. But it also offends people. Sure, some people enjoy him doing this. But abusing one person can offend many thousands of others and that can lose votes. The personal attack on the journalist was not helpful. And neither was his gibe at Social Welfare Minister Paula Bennett when he referred to her as “that bloody fat girl.” That could offend many people who are overweight and let's face it, most of us are. He does have some support out there for his “tell it like it is” attitude, but that can only go so far. When it comes to personal attacks and forfeiting opportunities to sell important messages because he becomes the focus of the story, he can’t be an effective team player. But if he takes note of these media training tips, he could be a real asset to Labour and help pull them over the line in 2014.